Politicians may say just about anything. Politicians have a funny way of expressing their thoughts and feelings at the most opportune moments; be it when speaking at podiums or in situations that are sure to catch the attention of the media. Their target? Ensuring that they are able to win the hearts of the people. It is common practice for politicians to use such opportunities to hurt their opponents with their words as daggers. Former President Mohamed Nasheed is known for speaking passionately in such situations. While his voice remained unheard for a long time, he is now back to addressing the nation with zeal, with the parliamentary elections looming up ahead. There is not a day that we do not hear Nasheed's voice with main-ruling Maldivian Democratic Party (MDP)'s parliamentary campaign ongoing in full swing. Himself a parliamentary candidate, Nasheed is more frequently seen advocating for his fellow MDP counterparts, gracing their campaign event with his presence, speaking on their behalf and pitching his visionary 'Agenda 19' in hopes of attaining a MDP majority for the parliament. Although he speaks at multiple functions a day, Nasheed is not one to speak on the same topics over and over again. Nasheed, with his earnest enthusiasm and passion, speaks about a different topic at different podiums, never repeating the same speeches, attacking different politicians with his endearing words every night at different events, armed with his golden tongue and captivating charisma. It is safe to say the people of Kudafari island, Noonu atoll holds Nasheed in high regards, even more so than his usual loyalists. 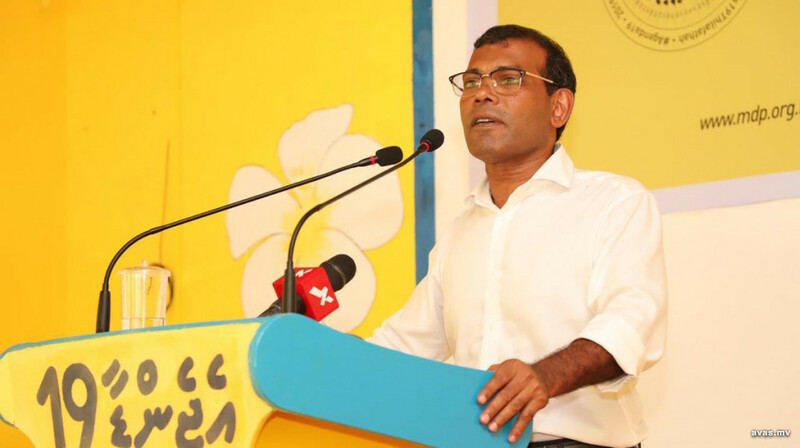 However, while addressing his supporters in Kudafari on Tuesday, Nasheed has spoken on a topic that was very difficult to listen to. 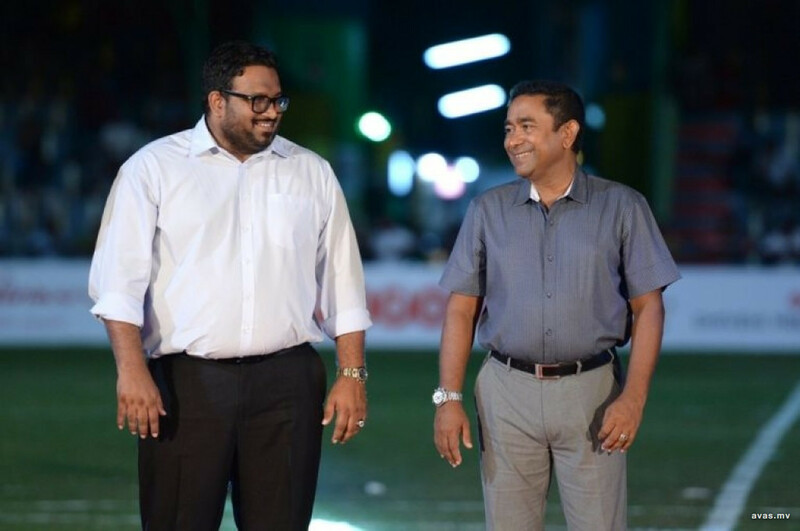 At MDP candidate for Kedhikulhudhoo constituency Ahmed Easa's campaign event in Kudafari, President Nasheed claimed to have 'planted' former Vice President Ahmed Adeeb into former President Abdulla Yameen Abdul Gayyoom's government to 'sabotage' it. He made the proclamation loudly and proudly, in front of the people of the island and the media. Nasheed boldly admitted to have been aware of Adeeb's proneness to corruption and transgression. "When the opportunity presented itself, I thought to myself, planting such a destructive character into Yameen's regime would help to establish but subsequently destruct the government. It was the reality that I always foresaw"
Nasheed's revelation may not come as a shock to many, including his loyalists. One may even dismiss his statement as a "political move". However, Nasheed's declaration cannot be taken lightly because the 'worm' Nasheed claims to have planted in the government was behind the largest corruption scandal the country has witnessed in its history. Because the 'worm', who was planted to disrupt the government had successfully robbed the nation of the hard-earned tax money paid by the people in broad daylight. I am sure the next comment following this statement would be, what is Nasheed's fault in this situation. At the time, Nasheed was the opposition leader. A popular former president who is loved by his supporters. It is certainly unacceptable that Nasheed orchestrated Adeeb's appointment as a minister of the cabinet, while aware of his corrupt behavior. Instead of stopping a person who may betray the people and the nation from being appointed, Nasheed pushed for his appointment, well aware of the consequences that may follow the appointment, and actually counted on it, all for a political benefit. If you think about it, the role of an opposition is to do the exact opposite: The role of the opposition is to ensure that the appointments made by the government are people with integrity, and ensuring that the government is held accountable. Speaking out against corruption if any on behalf of the people is a vital role tasked upon the opposition. Now, let us not jump to conclusions and give Nasheed the benefit of the doubt. After all, a leader such as Nasheed who loves his nation and its people would not take such a 'risk' that would endanger the country, would he? From this view point, we have to consider hidden motives that may be behind Nasheed's declaration. Nasheed was in Noonu atoll, campaigning for a fellow MDP candidate at the time of the proclamation. Speech during such a campaign ever would be centered around gaining support for the candidate in question, wouldn't it? Let us assume Nasheed was speaking with the intention of attaining support for Easa and defending him. After all, he does need to clear his slate with the people of his constituency over the voting mishap, having voted against a party whip line. It is not out of question that Nasheed may take the responsibility for an action committed by Easa without hesitation. Back during the 117th parliament,, Ahmed Easa was the member representing Kendhokulhudhoo constituency, He was the parliamentarian who voted in favour of appointing Adeeb despite his party having issued a whip line to vote against the appointment. The move had cost him his seat during the following parliament election. MDP has been preaching that they are the most 'democratic' political party in the nation. It is definitely against democratic principles for a party member to disregard a party whip line and follow the order of the party leader. If what happened that day was according to what Nasheed narrated, it just goes on to prove that Nasheed exerts influence on the votes that are taken in the parliament. Even to me, someone who is not as well-versed as Nasheed on democracy, the move was in all aspects, wrong. Nasheed's line of thought expressed at Easa's campaign event gave off the assumption that Easa's vote was a game changer in the vote taken in the parliament to appoint Adeeb as the Tourism Minister. However, this is far from the truth, as the votes were in favour of Adeeb by a landslide. Out of the 73 members who voted that day, 45 members voted to appoint Adeeb. There was no reason to make Easa's vote a "deciding" vote that day, as only 37 votes were needed to approve the appointment. Maybe Nasheed was misinformed. Or maybe he simply forgot what happened that day, as it was over six years ago. But the way he recalled word to word of what happened prior to the voting and how he arrived at the conclusion to 'plant' Adeeb, the clarity with which Nasheed narrated his conversations with Easa, raises even more questions. Whatever the case, is Nasheed covering up Easa's bold move with a 'fabrication'? If so, why? There is only one clear answer. Even Nasheed himself believes the people of Easa's constituency would not vote for Easa because of that single vote he cast in the parliament. Nasheed is most likely trying to reverse a bad situation by giving a clean slate to Easa, maybe even portraying Easa as a hero, while taking on the responsibility of his mistake as his own genius plan. It is all about getting Easa re-elected to that seat again. As I prepared to conclude my reasoning at this point, I again had another thought. Did Easa vote for in favour of Adeeb, while even Nasheed himself was aware of Adeeb's attraction to transgressions, and against the party whip line because there were other unknown benefits? If that is the case, why is Nasheed, the front face advocating for a parliament with integrity, so hell-bent on re-electing a man who went against the party whip line for his own personal gain? I am sure many of Nasheed's supporters will be defending him today on social media. I am sure they will make several excuses for him. However, the reality we all have to face is that the now jailed Ahmed Adeeb Abdul Ghafoor, once the Tourism Minister and then the Vice President, robbed the country of MVR 1.3 billion. Stolen in bagfuls, sackfuls, the state's hard cash were wiped clean with no remorse. The funds of the people became a mean for riches for dozens. Those who stole the money can be convicted and jailed. However it is highly unlikely that even a single penny of the stolen funds may find its way back into the state treasury. The consequences of the huge graft has already overshadowed the future generations. The price of the 'crack' made in the previous government by then opposition is MVR 1.3 billion. If Nasheed truly was aware of Adeeb's corrupt behavior and still encouraged his appointment and allowed him to rise to power, in addition to Adeeb, Nasheed himself has to take on the blame for every crime committed by Adeeb, even if indirectly.